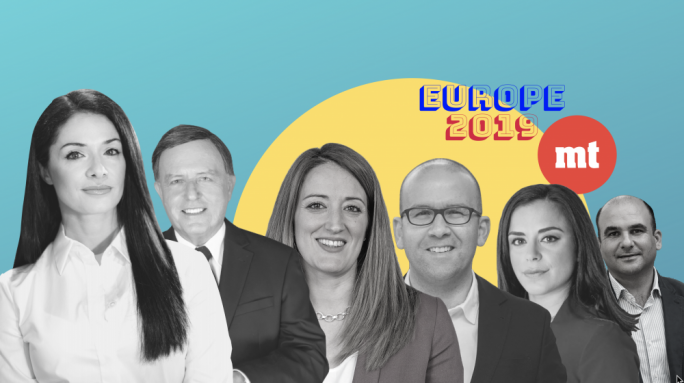 MaltaToday’s latest survey – carried out a year before a general election earmarked by the Prime Minister for March 2018 is to be held –shows the Labour Patry leading the Nationalist Party by four points, and Joseph Muscat enjoying a trust lead of 7.1 points over Simon Busuttil, slightly up from 6.8 points in November. The survey, in which 700 respondents were contacted by telephone and accepted to participate, was carried out between Wednesday, 1 March and Wednesday, 8 March. 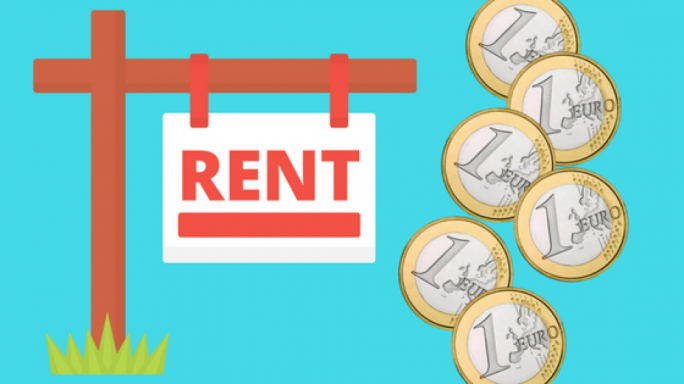 Since the last survey in November the country was also rocked by an escalation of political controversy in the aftermath of allegations by the Malta Independent columnist Daphne Caruana Galizia that minister Chris Cardona had been seen inside a German brothel – now the subject of four defamation cases; and the visit of MEPs from the PANA committee, who categorically stated that minister Konrad Mizzi’s offshore set-up in Panama raised suspicions of money laundering. But MaltaToday’s survey suggests that these events have not significantly altered the political landscape. And with both leaders’ trust ratings edging slightly upwards to the detriment of those not voting or undecided, any gains that the PN could have acquired in the past months may have been offset by news that it received donations from the DB Group, the company it hit out at over the €60 million land deal, news of which broke out in the last three days of the survey. So now the survey shows the PL leading by four points, up by half a point from last month. The difference is just outside the +/- 3.6 point margin of error, which means that the difference between the parties may range from a 0.4 lead for Labour to a more substantial 7.6 point lead. But the survey confirms inroads made by the PN and its leader among Labour voters in 2008, with Simon Busuttil emerging as the trusted choice of 5% of those who had voted for Alfred Sant’s PL in 2008. It also shows 3% of these voters now intending to vote PN. But the survey also shows Muscat and Labour consolidating their position among switchers, that category of voters who switched from the PN to Labour in the 2013 election. While both parties are making gains among switchers amidst a sharp drop of undecided respondents in this strategic category, 27% of switchers will vote PN and 39% will vote PL. And while 48% of switchers trust Muscat more, only 25% trust Busuttil. Overall the survey still shows a favourable swing for the PN, with 7% of PL voters in 2013 now switching to the Opposition, compared to 4% of PN voters in 2013 who have switched to Labour. This suggests that while the PN is making some gains, these are partly offset by Muscat’s continued ability to win over voters from the PN. 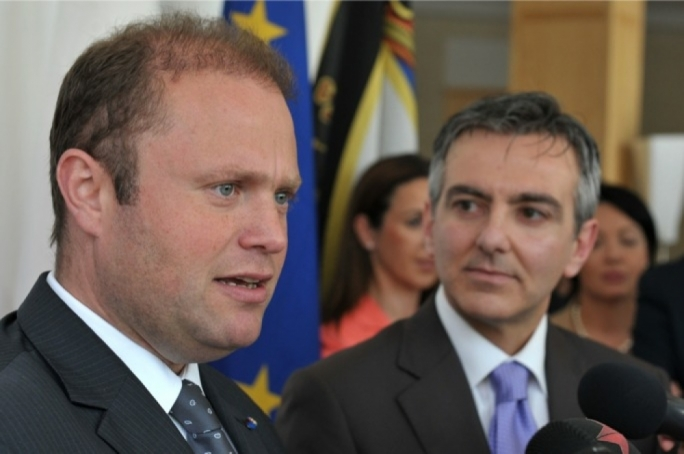 But amidst a greater polarization, both political leaders have registered a small increase, with Muscat gaining 0.6 points and Busuttil gaining 0.3 points in the trust rankings. Support for third parties has also dropped by 1.7 points. For the first time the survey shows the newly formed anti-immigrant far-right patriot party registering nearly the same support as that registered by AD and Marlene Farrugia’s Democratic Party. An extrapolation of the survey, when undecided respondents and those intent on not voting are not taken into account, would put the PL at 51%, the PN at 45.1%, AD at 1.6% and the PD and the Patriots at 0.9%. Both political leaders remain more popular than their own party. But while Joseph Muscat’s trust rating is five points higher than the support for his party, Busuttil’s trust rating is two points higher than support for his party. This indicates that Labour has more space for future growth among that category of electors who prefer Muscat to Busuttil, but who are not committed with regard to voting intentions. But significantly, while among Labour voters Busuttil is slightly more popular than his party (8% of PL voters in 2013 say they trust him more than Muscat compared to 7% who say they will vote PN), Busuttil is slightly less popular than his party among switchers, 27% of whom say they will be voting PN compared to 25% who trust Busuttil. While Labour starts with this notable advantage, which sees Muscat leading Busuttil by seven points, MaltaToday’s survey confirms a shift in favour of the PN. While 3.5% of PL voters in 2013 say they will now vote PN, 7% of PL voters in the same election say they will vote PN. This would mean that while the PL is losing 12,062 votes to the PN, the PN is only losing 4,634 votes to the PL. Although this shift is considerable by Maltese standards, it is not enough to overturn Labour’s 35,000-vote majority. Basically Labour starts the election with an advantage which can only be overturned by a greater shift than the one suggested in this survey. Moreover, when non-voters and undecided voters are taken into consideration, while the PN retains 84% of its votes, the PL retains only 74% of its votes. This suggests that the PN has a greater ability to retain 2013 voters than the PL. But the difference is less marked when it comes to Busuttil’s and Muscat’s trust in their respective camps. While Busuttil is trusted by 82% of PN voters in 2013, Muscat is trusted by 78% among PL voters in the same election. Of significant importance is the fact that while only 4% of PN voters in 2013 will not be voting, non-voters increase to 8% among PL voters in the same election. If this pattern is confirmed in an actual election, 13,067 Labour voters and 5,561 PN voters would be staying home, giving the PN the opportunity to further decrease the gap between the two parties. The PN’s chances depend on whether these voters will stick to their guns or whether they will be lured back by Labour. Labour would be facing even greater difficulties if some of these voters end up voting PN. Of strategic importance for Labour is its continued ability to attract Nationalist voters. The survey shows the party still retaining 10% of PN voters in the 2008 general election. Moreover 14% of this category trust Muscat more than Busuttil. And Labour also attracts nearly 4% of PN voters in the 2013 general election. This explains why Labour continuously uses Nationalist-friendly faces like Karl Stagno Navarra on its media. It may also explain why the party courts potential candidates like Jeffrey Pullicino Orlando, Ian Castaldi Paris and Franco Debono, even if their presence may appear toxic for traditional PL voters. In fact through this shift from the PN, the PL may be compensating for losses among more traditional Labour voters, some of whom are finding a new home in Busuttil’s Nationalist Party. The survey shows the percentage of PN voters now intent on voting PL doubling from 2% in November to 4% now. On the other hand the percentage of PL voters in 2008 switching to the PN has remained stable. In many ways these dynamics have been reflected in Labour’s shift to the centre-right in its pro business appeal, and Busuttil’s shift to the centre-left on a number of social issues. While both parties are trying to appeal to new converts from the opposing camp, switchers who voted PN in 2008 and PL in 2013 remain of strategic importance. The survey shows that while the number of switchers intent on voting PN has risen from 18% in November to 25% now, the percentage of switchers who would vote PL has also gone up from 29% to 39%. This suggests that switchers are increasingly making their mind and are now less likely to say that they will not be voting. In fact non-voters among this category have declined from 39% in November to 14% now. This also suggests that the PL has made more gains than the PN among this category in the past months. But while the PN is making limited gains among switchers, it is making substantial gains among another strategic category: non-voters in the 2013 election. In this category while only 7% will be voting Labour, 19% will be voting PN. This suggests that a number of PN voters in 2008 who abstained in the 2013 election have returned back to the party. The return of these voters to the PN may have a marked impact on PN-leaning districts, which saw a higher level of abstention than PL-leaning districts in the 2013 general election. The survey shows no shift to small parties, with the share taken by third parties dropping by a percentage point since November. This drop can be attributed to the survey’s margin of error which weighs heavily on the representation of third parties. For the first time the survey shows Marlene Farrugia’s PD taking votes from the PL and from the PN, but these gains are made exclusively among switchers who had voted PN in 2008. The far right ‘patriots’ take nearly an equal number of votes from both parties as well as from non-voters in 2013. AD takes a fraction from the PN and non-voters while losing a third of its vote in 2013 to the PN. The survey was held between 1 March and 8 March. The results were weighed to reflect the age and gender balance of the population. 1,187 respondents were contacted. The survey was stopped when a quota sample of 700 completed questionnaires. The survey has a margin of error of +/-3.7 points.